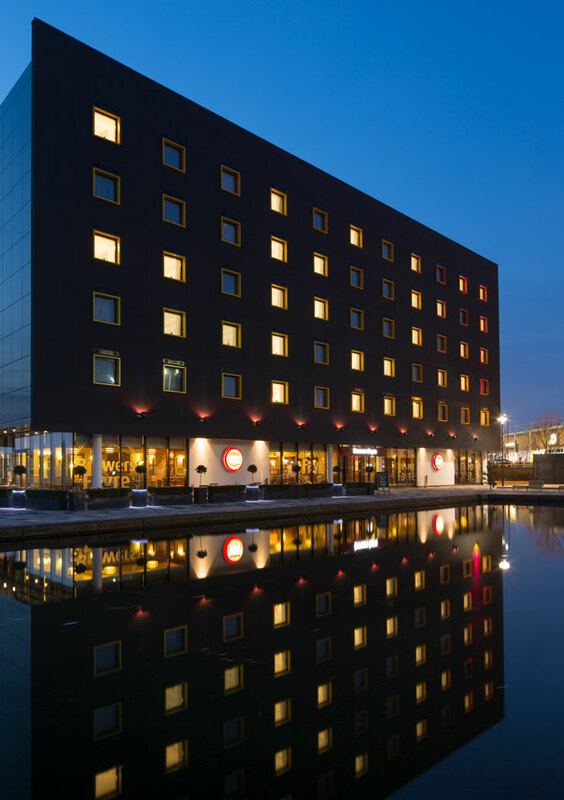 A new build hotel development facing Walsall’s art gallery and adjacent to the existing canal side. 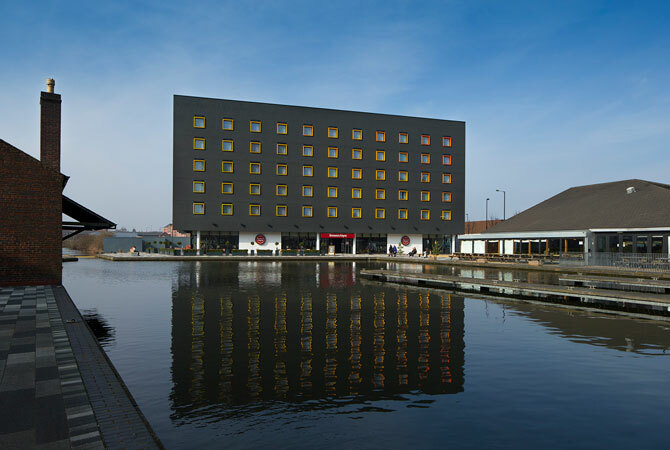 The six storey building is the first instalment of the proposed wider waterfront masterplan. 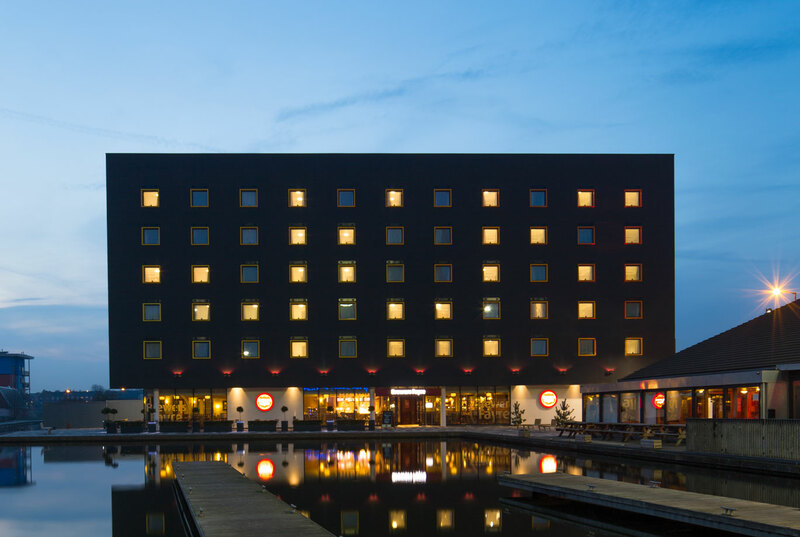 With the primary feature accommodation core placed outside the main plan, the layout of bedrooms forms two accommodation wings, rationalising the standard hotel plan into a strong form, which sits over ground floor restaurant use – spilling out and activating the south facing canalside with seating. 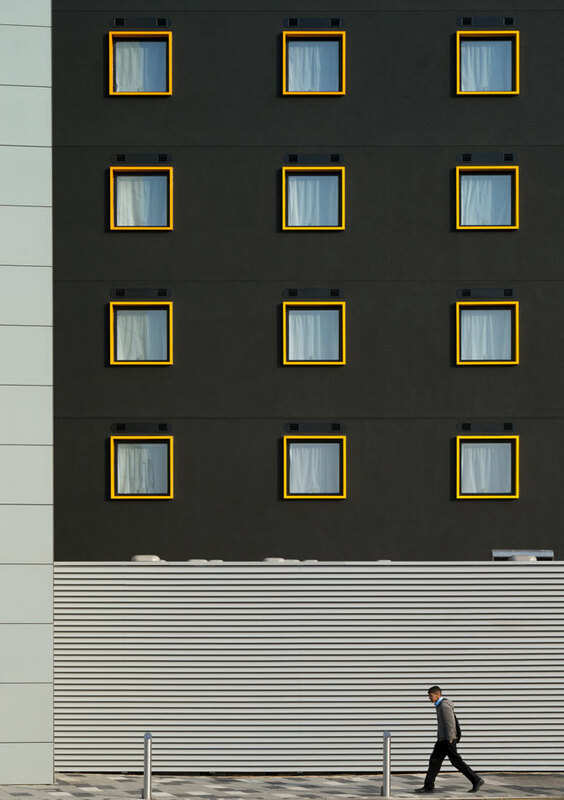 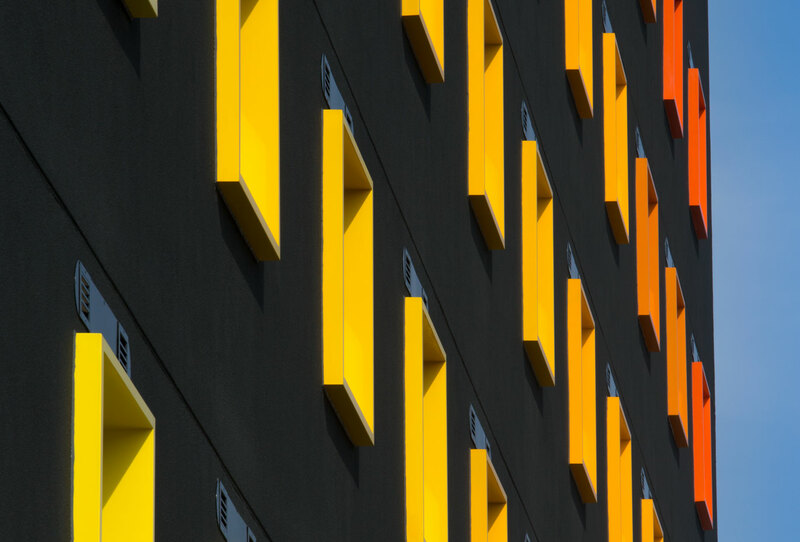 Reflective ‘window boxes’ provide animation to the block’s facade, which add changing visual interest to the overall site as one approaches from different angles.